Get a load of this!! I took this off another site but the link for the original is in the article. Ask yourself a question: If President Donald Trump hired a person who openly shows support for a Nazi collaborator, how long would that staff member last? …Saikat Chakrabarti is a highly motivated, smart guy. A Harvard grad, he founded a web tools company, Mockingbird. He is a founder of Justice Democrats, the PAC set up with The Young Turks’ Cenk Uygur, was instrumental in getting AOC elected, and is presently going through congressional training to learn how to become an effective chief of staff for the Dems’ golden girl. Based on a recent clothing choice, Chakrabarti might justifiably be considered a Nazi sympathizer. But really? 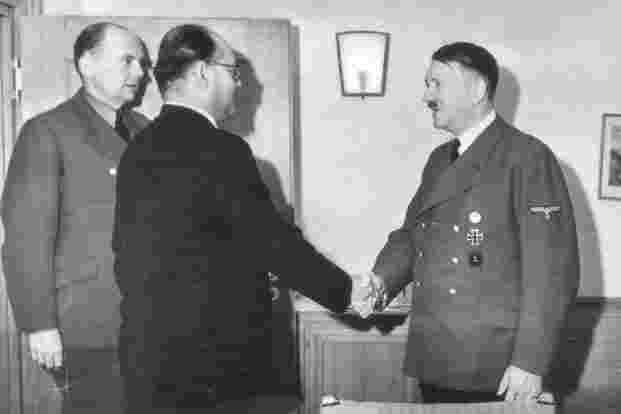 Bose was an ally of Adolf Hitler and met with him personally in 1942. Bose founded the Free India Legion (FIL) made up of troops captured by Nazi Field Marshal Rommel’s Afrika Korps. The FIL swore an oath to Hitler and was under SS command. Bose teamed up with the Japanese in 1943. Bose was an admirer of the USSR and sought to implement its authoritarian practices in India. You get the picture. this was in the comment section.